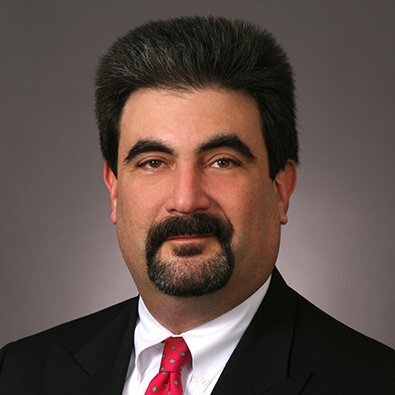 Andy Goldstein is a Partner in the Corporate Practice Group and a member of the Emerging Industries Team. Andy focuses his practice in the area of Intellectual Property and Information Technology. He has extensive experience in the areas of intellectual property law, including trademark, copyright, trade dress; internet, website, cloud computing, technology, outsourcing, IoT and computer law in general; advertising, marketing, and promotion law; and entertainment law, including video production, theater and dance-related matters. The Chambers-USA Guide to America’s Leading Lawyers, calls Andy a “business law expert,” and adds that "He is smart and versatile, with broad expertise and an extremely fast turnaround time." To view the award, click here. Andy has over thirty years of experience counseling clients in the areas of intellectual property and information technology law and he has handled matters including: representing a major university at the dawn of the World Wide Web, when developers left the University to form a company offering the first web browser; negotiating landmark deals, such as telecommunications outsourcing contracts for AT&T and first-time software licenses with IBM; representing a consortium of Big Ten and other major university libraries in connection with the "Google Books" copyright case; assisting clients in developing website terms and conditions and privacy policies; and, representing one of the leading legal and accounting information publishers in connection with cases involving the unauthorized downloading of its proprietary online database and copying of the design of its new online customer interface application. "PR Firms and Attorney-Client Privilege," O'Dwyers PR News, January 9, 2019. "Technology: Navigating deemed export rules," InsideCounsel, July 2013. "In-house Counsel Must Understand the Implications of Viral Media," InsideCounsel, July, 2013. “Technology: Click here to accept,” InsideCounsel, May 10, 2013. "Broadcasters Strike Out Again In Aereo Ruling," Media & Entertainment, Intellectual Property, Appellate and New York Law360 newsletters, April 5, 2013. "Legal Issues in the Cloud," The Corporate Counselor, December 2011. "Legal Issues in the Cloud: Exploring Business Continuity, Liability and SLA-related Issues," Computer Technology Review, November 14, 2011. "Documentary and Noncommercial Filmmakers Can Now Bypass Copy Protection Devices to Use Short Clips of Copyrighted Motion Pictures," Screen Magazine, March 2011. "PR Firm Held Liable for iTunes Product Reviews," O'Dwyer's Communications & News Media, November 2010. Moderator, "Features of the New Technology Platforms Available for Searching and Clearance," International Trademark Association Leadership Meeting (Nov. 9, 2018). Co-Presenter, “The European Union (EU) General Data Protection Regulation (GDPR) Overview” Illinois Technology Association Webinar (April 16, 2018). "Copyrights in the Digital Age," Midwest Writers Association (March 5, 2018). Moderator, "The Midwest FinTech Revolution," Incubate Illinois Conference (July 12, 2017). "Doing Business Online: Are Your Legal Terms Enforceable?" Illinois Technology Association Webinar (Feb. 18, 2016). Presenter, "Trademark Cost Management Best Practices," Dennemeyer IP Budget Best Practices Forum (April 13, 2016). "Legal Issues in the Craft Beer Industry," Gastro Intellectual Property Symposium (Nov. 10, 2015). "Drafting Enforceable Online Agreements," Clear Law Institute Webinar (July 7, 2015). This Client Alert, written by Partner Andrew Goldstein, details why this ruling makes it important for you to review your intellectual property assets and make sure that you have registered any important copyrights you may own. Recently, the Illinois Supreme Court opened the floodgates for claims and class actions under the BIPA and renewed and underscored the importance of compliance with its requirements. Andrew L. Goldstein authored the article “PR Firms and Attorney-Client Privilege” published Jan. 8, 2019, by O’Dwyer’s PR News.